The story begins with Odette a young girl who lives with her father, a humble baker man; one day, while the girl is in the town discovers a unicorn who escaped from the enchanted forest. 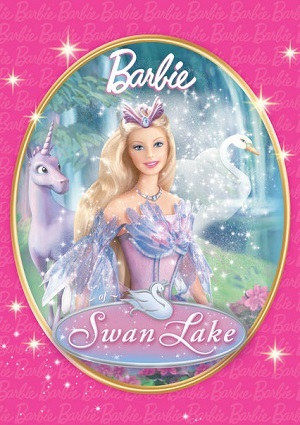 Odette curiously follows the unicorn and enters into the enchanted forest, while she’s there and without planning it, moves a magic crystal that nobody had ever been able to remove. Then begins the magical legend that says: “the person who be able to remove the magic glass can beat the evil sorcerer Rothbart , who plans to take over the intire kingdom”. Despite feeling fear and not wanting to get mixed up in the situation, Odette decides to fight Rothbart, but he casts a spell on her that turns her into a beautiful swan. Despite the pleas, the girl is not returned to a human form and decides to seek the help she needs. Odette will meet Prince Daniel who will be captivated by her beauty as a swan and as a human. Prince Daniel helps the young maiden to defeat Rothbart and find the cure for the spell. She needs be a girl again! They know that true love is the only thing that can stop the evil Rothbart, after a big struggle with him, that will endanger the life of one of our beloved characters.